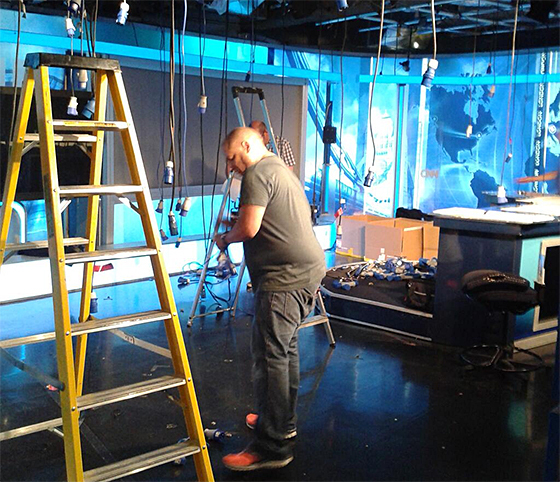 Following the recent set upgrade in Atlanta, CNNI is now deconstructing the London bureau studio to begin its overhaul. CNN Director Peter Bibbey (@Bablefish) is tweeting the work. So far, the studio lights have been moved to storage positions, and removal of old graphics and set pieces is underway.